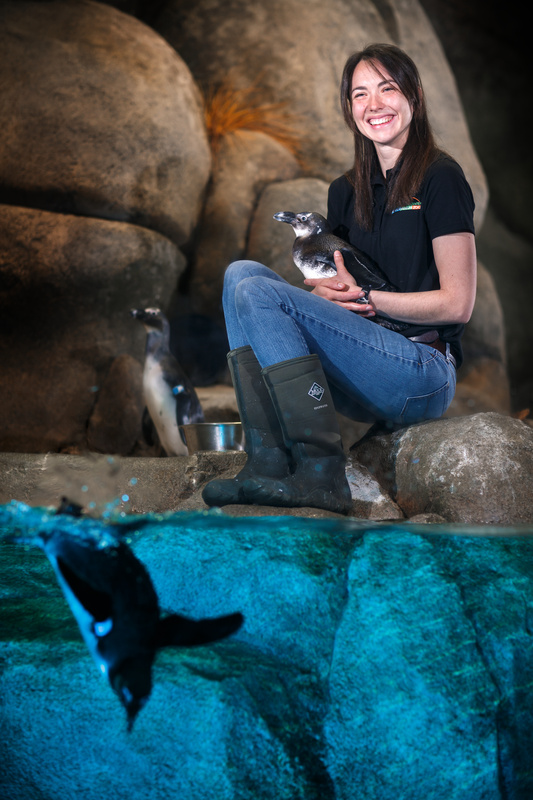 When you see Shannon Fletcher and the Greensboro Science Center’s African penguins together, it’s obvious how much she loves them – and how much they adore her. As a keeper at the center, Shannon spends every day with some of the center’s most charismatic and popular animals. She’s responsible for cleaning, feeding and making food for the center’s nine Asian small-clawed otters and 20 African penguins. The penguins flock to her the moment she enters their exhibit. They fight for her attention – each in his or her own way. She loves their funny mannerisms and big personalities. “They make me laugh every day,” Shannon says. 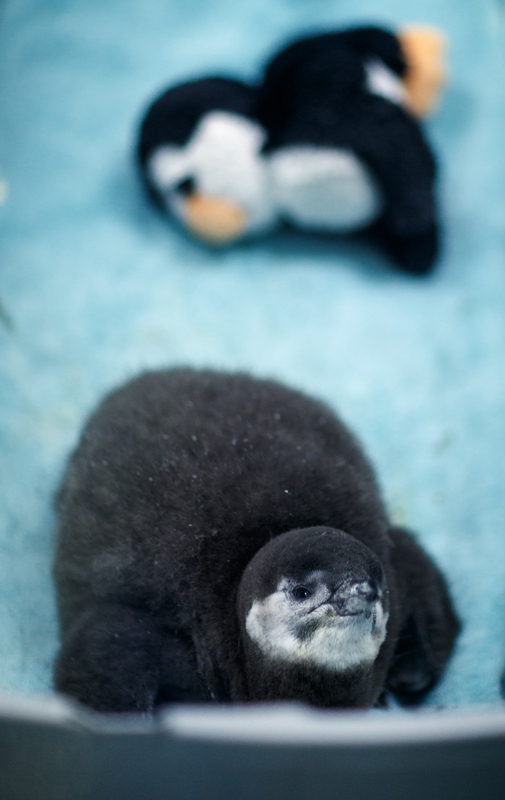 The Greensboro Science Center is one of just a handful of zoos in the world that have been carefully chosen to be a part of the Species Survival Plan for these African penguins. They breed the endangered marine birds, playing matchmaker to bird couples chosen by the Association of Zoos and Aquariums to maintain a healthy and genetically diverse population. “We’re a jack of all trades. We’re nurses, housekeeping, maintenance, nutritionists and matchmakers,” Shannon says. Shannon, who’s been with the science center since 2014, has proven to be a skilled matchmaker. Under her watchful eye, Tag and Apollo became parents in February. Shannon loves all her penguins. But Raven, who will turn two years old this October, is her favorite.